This is a NEW Fantasy Aura Quartz infused with Pure Titanium and forged in Sterling Silver! This pendant measures 1.3" length x .6" wide x .5" depth and weighs 5.3 grams. 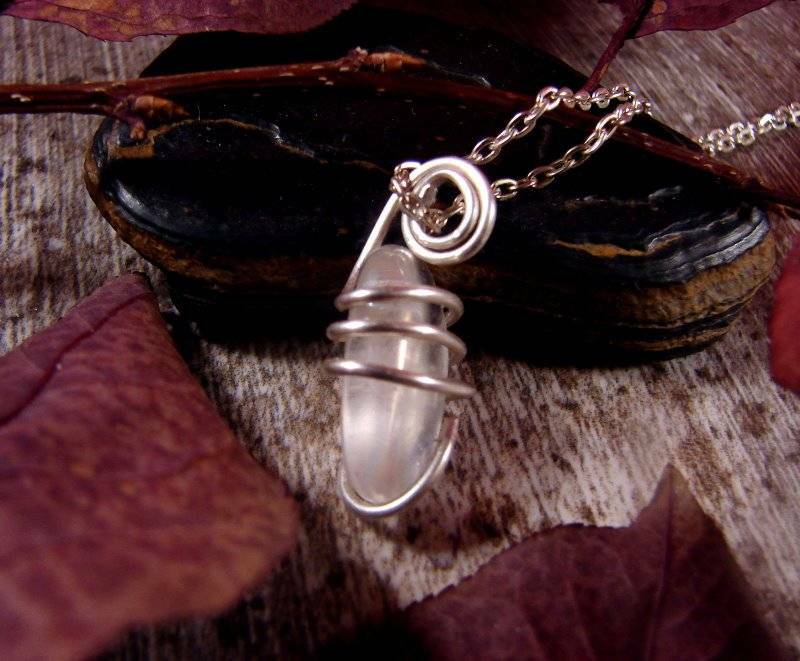 Fantasy Quartz helps to increase inner strength and helps when undergoing change in one's life. This crystal also helps one to manage money and manifest monetary wealth. 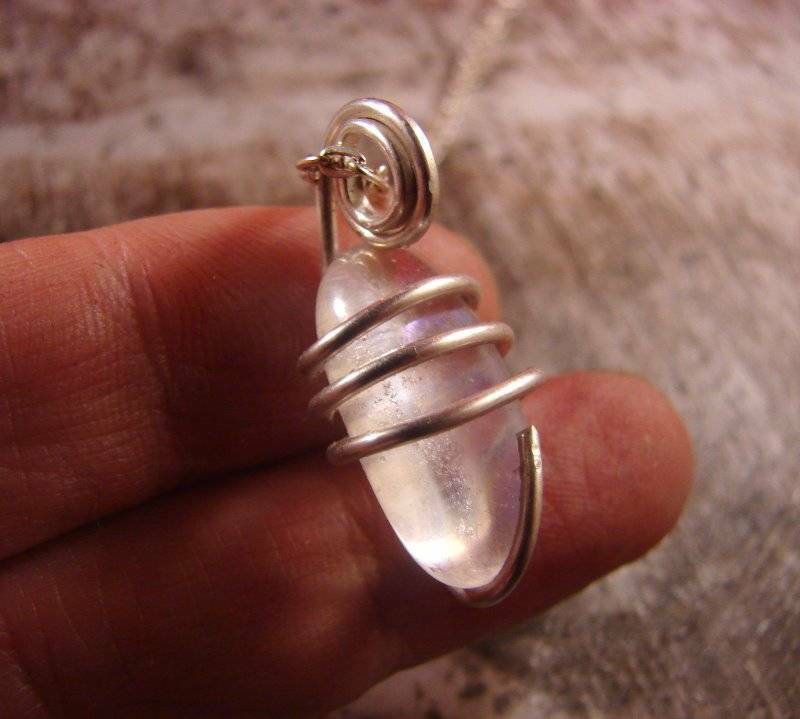 Fantasy Quartz also helps during meditation as it gives off a relaxing energy. This crystal also helps to open up the third eye chakra, and helps to open up the channel to give and receive messages via the spirit world. 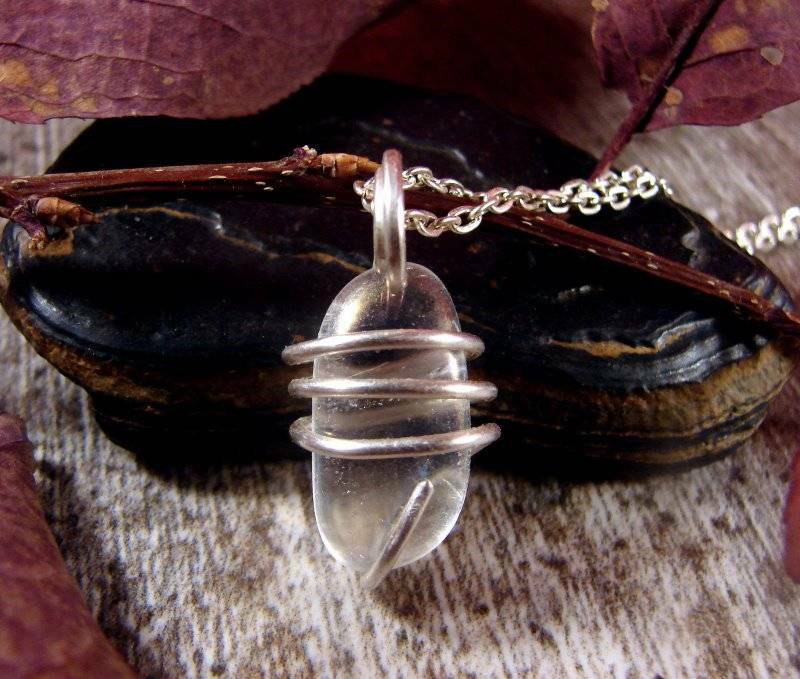 Fantasy Quartz has a sweet, high, pure vibration that enables us to connect to other realms and higher energies. It raises our vibrations when we use it or wear it as jewelry. Fantasy Quartz also brings a calm, quietly confident feeling of inner peace and knowing. It allows our mind to let go during meditation or when undertaking spiritual practices so we can truly connect to the Universe and receive relevant information. Silver regulates the emotional and intuitive energies and provides one with patience and perseverance in chosen tasks. Silver, when combined with gemstones, has the ability to attract and retain within itself the energies of the gemstones. It draws negative energies from the body while transferring the positive energies of other minerals .It eliminates toxins at the cellular level and cleanses the body via the pores. It is thought to be helpful in the treatment of hepatitis and to increase the assimilation of vitamins A and E.
Pendants have been used as amulets virtually ever since the beginning of man. We all have our good luck stones, we all have our "protectors", and we all receive the amulets we NEED when we NEED them. They are a gift for our destinies. E-Bay Store Pathways sells rare Metaphysical Crystals including Super 7, Super 8, Azeztulite, Petalite, Phenacite, Angelite, Hiddenite, Tibetan Jet, Lithium Quartz, Rare Pink Crystals, True Strawberry Quartz, Orgone Devices, Atlantean and Lemurian Crystals, Fine Wire Wrapped and Sculpted Jewelry, Healing Jewelry and many other healing stones. I am an Affiliate of the Association of Melody Crystal Healing Instructors, a Reiki Master, and a Graduate Gemologist. All International Shipments will be be sent First Class. International Shipments can be delayed in customs, but most of them arrive safely within two weeks. Import duties, taxes and charges are not included in the item price as these charges are the buyer's responsibility. Please check with your country's customs office to determine what these additional costs will be prior to bidding/buying.